The World Health Organization (WHO) recently added gaming disorder to the International Statistical Classification of Diseases and Related Health Problems, claiming that excessive gaming could have negative effects on players’ physical and psychological health, including damaged eyesight and disruptive sleep patterns. According to WHO (2018), gaming disorder is a pattern of gaming behavior characterized by impaired control over gaming, increasing priority given to gaming over other activities to the extent that gaming takes precedence over other interests and daily activities. The continuation or escalation of gaming continues despite the occurrence of negative consequences. 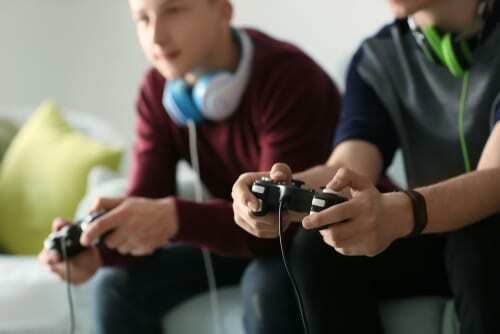 Young adults and teens are susceptible to developing a gaming disorder, especially with games online such as Fortnite. Fortnite is a popular online game, which can be played by up to one hundred players at once. The game is inspired from the 1999 Japanese novel, Battle Royal and the 2012 release of The Hunger Games. Fortnite players must scavenge supplies, build structures and find weapons to kill each other until one person is left. Fortnite has captivated the minds of many adolescents. Parents need to watch for symptoms of addiction, which include aggression, irritability, and fading interests in activities. It affects a teen’s relationships with family and loved ones. People addicted to gaming spend a lot of time in seclusion and that can be damaging to an adolescent’s or teen’s developing brain. People can experience a disruption in sleep patterns. For teens, this can severely impact homework and turning in assignments at school. Sleep deprivation can lead to low job performance, coming in late to work, and frequent absences. If you or a loved one is suffering from a gaming use disorder or addiction, get help now. Gaming use disorder and addiction are treatable. Make today the first step to recovery.